Since the end of the 26-year civil war Sri Lanka has become an increasingly popular place to visit. Home to the exotic, the ancient and the wonderous the country is seen as a haven to frenetic neighbouring India. Once you’ve decided to visit Sri Lanka, got your jabs, and got your electronic tourist Visa for Sri Lanka if eligible, then you’re good to go. If you’re not eligible you will have to apply via embassy or consulate channels. So once good to go where should you go and what should you do? Sigiriya is one of Sri Lanka’s seven World Heritage Sites. At the summit, you will find a rock-fortress that dates back to the 5th century AD. Over time, the role of the fortress has changed from military to the spiritual. It has served as a Buddhist monastery and a royal palace. It is believed that Sigiriya is one of the oldest urban planning projects. It has landscaped gardens and features a mirror wall where the masonry was so well polished you could see your reflection in it. 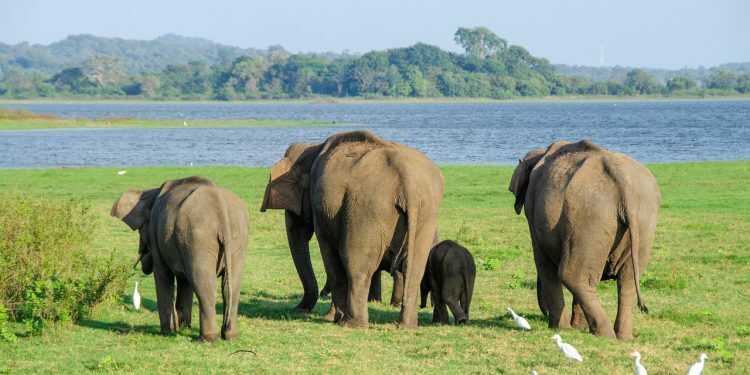 Elephants roam free in national parks and work the land in Sri Lanka. In fact, unless you never leave your hotel they are hard to miss. In the Uda Walawe National Park, you will see elephants in the wild. The park was created to protect the Uda Walawe Reservoir and is home to around 400 thick-skinned mammals such as elephants. A trek through the scrub jungle, grassland, or forest that is Uda Walawe National Park will reveal interesting bird species as well. Arugam Bay beach features soft white sand, coconut palm trees and the occasional surfer enjoying the fine surf. The beach is the perfect place to come and relax taking in the views, the sun, and the breeze. Interestingly, before the 2004 Boxing Day Tsunami, the bay was forging a reputation for offering some of the finest surfing in the world. Now the surfers have for the time being abandoned the bay. No doubt one day they will return. If you are in the mood to explore and discover then nothing quite beats a boat trip to the island of Sri Lanka’s north coast. The biggest island, Neduntivu, is home to about 4,500 people. Once you take on the rough crossing you will encounter herds of wild horses and the locals. There are only really two attractions to see. One is the Dutch fort made out of coral and the other is giant baobab tree which is believed to be over a 1000 years old. There are hotels and guest houses so you can stay overnight or for a few nights and the locals tend to be friendly. A perfect place to relax and unwind. Visit the country at your earliest opportunity.